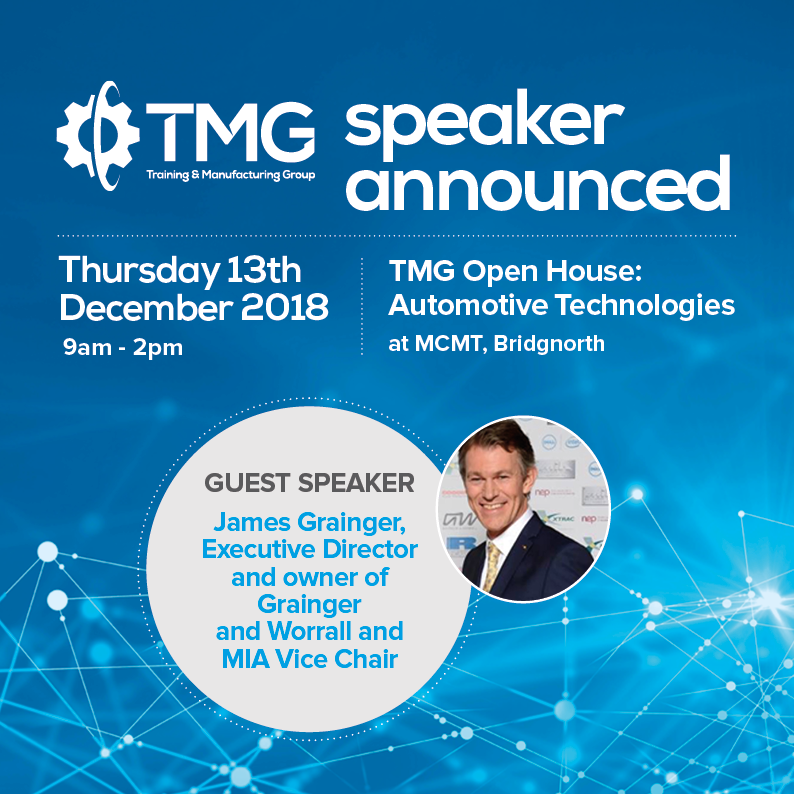 We’re pleased to announce our guest speaker for the TMG Open House will be James Grainger, Executive Director and owner of Grainger and Worrall and MIA Vice Chair. James Grainger is an Executive Director and owner of Grainger and Worrall [GW], a UK headquartered engineering business specialising in high integrity casting for the motorsport, prestige vehicle, aerospace and defence industries. Customers include (for example) the F1 teams, McLaren, Porsche, Aston Martin, and increasingly GW plays an important role in the EV market with the supply of lightweight and high strength chassis components, battery trays, and transmission technologies. 55% of GW’s business goes to export, with particular focus on Europe, N.America and China. GW employs 700 people with annual sales of some $85m. James is also the Vice Chair of the Motor Industry Association, the world’s leading trade association for motorsport and high performance engineering services. Image shows James being awarded the MIA Business of the Year award in 2014.